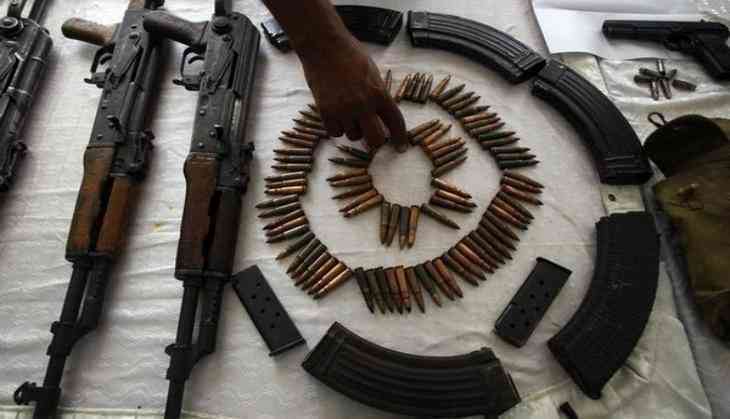 Three people were arrested and an illegal arms manufacturing unit was busted at Khanpur village here, police said Saturday. Eight pistols, 10 semi-finished pistols, two guns and 15 barrels were seized from the unit during a raid Friday evening, Senior Superintendent of Police (SSP) Sudhir Kumar said. He said Vijaypal, Rahul and Israr were arrested on charges of smuggling arm.